I recently posted 6 Steps to Natural Beauty where one of the steps was getting a great night’s sleep. But a lot of us have a hard time with that at one time or another. Others struggle with it regularly and their body fights to keep up. 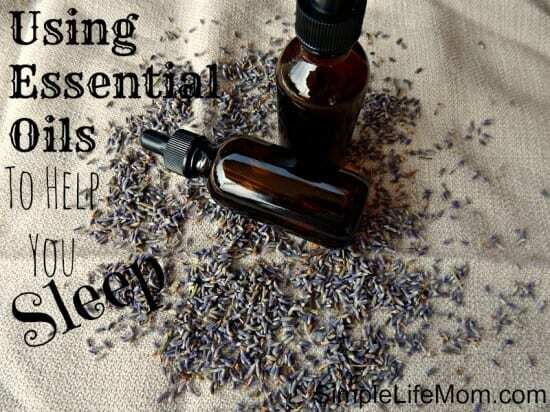 Here are essential oils to help you sleep. or you’re nervous and worried and know you need to calm down? 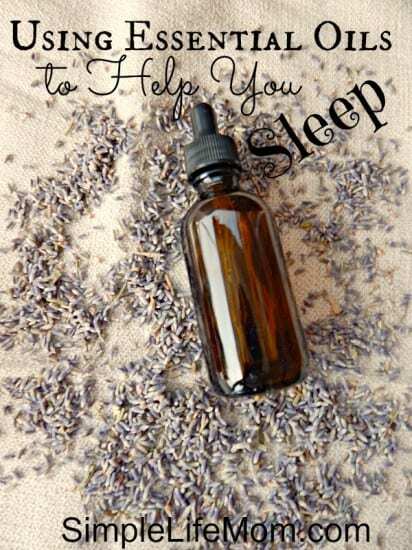 There are many methods I’m sure that you have already implemented at one time or another, but have you considered using essential oils to help you sleep and battle insomnia? There is not just one, but many essential oils that are renown for their calming, relaxing effects. Everyone’s body chemistry is different so there is not one magic concoction out there that’s perfect for everyone, but you can easily decide what works for you by using…your nose. There are many organic stores that carry essential oil samples. So if you are not familiar with a particular oil, or maybe you know the name, but are not familiar with the smell, you can go there with a pad and pencil and take note of your favorites. I have a list of essential oils that are known for their calming effect, but with essential oils it’s best to “listen” to your nose. If you love it, use it. I’ve divided these oils into two categories, because some people find it hard to just calm down, de-stress, let go and relax. While others struggle with anxiety, sadness, depression, and emotional issues that cause them to lose sleep. hopefully you can find the oil that you love the most. My personal favorites are Ylang Ylang and Patchouli (not together) and Frankincense and Clary Sage (together). I have a Patchouli soap, as well as a Frankincense/Clary Sage soap that truly is aromatherapy for me. And I use Ylang Ylang as a perfume. It is so calming for me. To each their own, so follow your nose and what your senses tell you. Tangerine – calming, soothes inflammation, promotes good cell growth and helps to cleanse blood. Melissa – soothes digestion, great for the stomach, reduces fevers, lowers blood pressure, calms, and heals nervous system disorders. Clary Sage – can effect hormone balance by increasing libido and can cause contractions, lowers blood pressure, and helps to heal and cleanse uterus. Valerian – calms and relaxes nervous system, often used for menstrual cramps, restless legs, tension headaches. Bergamot – anti-viral, anti-bacterial, relaxes nervous system, increases metabolism causing an uplifting feeling. Don’t use in sunlight. Sweet Marjoram – anti-aphrodesiac so be aware, but also an antiviral and pain killer, uplifter and anti-depressant. Ylang Ylang – soothes nervous system and reduces blood pressure. Increases libido. Vetiver – can effect hormone balance, boosts libido, lifts mood, boosts immune system and calms at the same time. A website I greatly appreciate to help learn more about essential oils is Organic Facts and Experience Essential Oils. Consult these and other sources to learn more about essential oils before using them. They are powerful oils. In a Defuser– So that you can lie there and take slow, deep breaths of the aroma in the air. Whether you opt for the best Tea Tree oil in India or you’ve asked a relative to ship lavender oil from America, hopefully, you’ll be able to get a good night’s sleep and feel completely relaxed. Don’t want to get a defuser? Just inhale slowly 10 times. If you can smell it, then you are breathing in tiny particles. Not only are those particles able to enter your bloodstream via your lungs, but we react physically to smells initially as well. Take a Bath – Draw up a nice warm bath and put 15 drops or so of your favorite oil in the bath water. Not enough? Place those drops on a clean, dry washcloth and lie with it on your chest in the tub. Use Shower Discs – make up some essential oil infused shower discs that will let off an aroma as they dissolve on your shower floor. Find a recipe HERE. Apply directly to the skin. Most essential oils must be diluted first, otherwise they can be too strong for your skin and even burn you. Dilute the oil in something like sweet almond, grape seed, mango, or apricot oil at a ratio of 5 drops carrier oil to 1 drop other essential oil. Some that do not need to be diluted are lavender, ylang ylang, and patchouli. Lavender is safe to use on children’s skin. But as always, everyone is different so try on a wrist first and see how you react. Apply to the temples, sinus cavities, wrists, below ears, bottom of feet. This is nice because you can do it in bed without even getting up (keep the oils on your bedside table). I truly help that this helps. Keep that oil beside your bed and use it in need. This post may contain affiliate links, but only to products I know, use and love. I love using essential oils…. and a bath with epsom salts and essential oils helps so much… the oils and the magnesium in the salts… just relax and calm … and helps for a restful night. 🙂 Thank you for the great info. Have you compared Mountain Rose Herbs essential oils to other oils? I haven’t started using essential oils yet, but I know many recommend Do Terra. I was interested in your experiences. Also my dad had had trouble sleeping over the years, but especially after chemo. Any suggestions for help with Gaba? He feels that is the one of the main causes. Thank you! In my experience, not all essential oils are the same. Even those that are steam distilled, etc. have varying concentrations. I may offend a few die hards here, but I believe do Terra oils are what you hear about a lot because they give great sales commissions and they have amazing marketing techniques, not because their oils are the best. They are good, but not the only ones out there for sure. Mountain Rose Herbs is an affiliate of mine, but that being said, I still think they are super high quality oils that I love. As for Gaba, are you referring to the supplement? Gaba is supposed to help you relax and sleep, right? If it’s doing the opposite it would seem like he needs to be weaned off of it. My dad’s sleep has improved by taking things that help him to make Gaba-d-ribose and l-theanine. (I think it was l-theanine). I know that Mountain Rose herbs sell really high quality herbs, but I haven’t heard much about their essential oils. Thank you for answering my question about them. This is such a great post! I have a friend who has a lot of trouble sleeping, and has absolutely no luck with lavender. I’ve already passed this article along! Thanks for sharing this with the From the Farm Blog Hop this week — I’ve chosen it as my favorite! I hope you’ll be sharing again with us this week! Thank you Christine. I really hope it helps your friend. This is a great post. I have lots of problems with sleep and had heard about using essential oils to help, but I really didn’t know quite where to start. Now I look forward to giving it a try. Everyone is different, so if one thing doesn’t work don’t give up! Lavender is my go to essential oil for sleeplessness — and for so much more. Thanks for sharing.